I enjoyed how easy it is to change the leather straps. The Chamberlain is a member of the Delphi Family, one of Stuhrling Original's most iconic collection of mechanical and automatic timepieces. 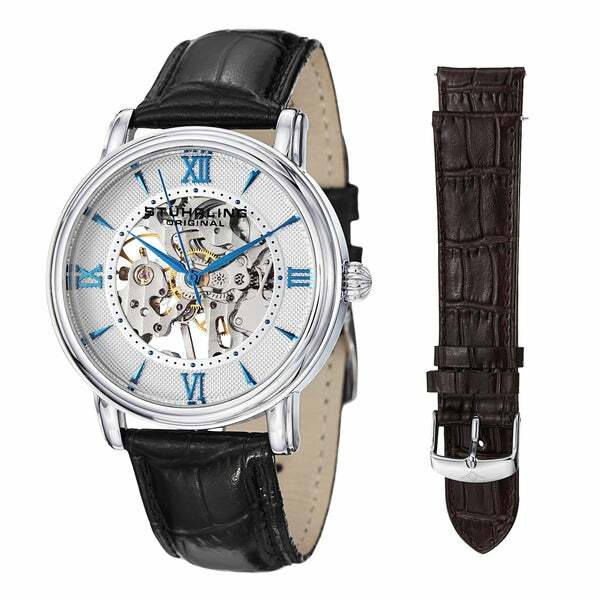 This fascinating watch features a high polished bezel on a solid stainless steel case, which includes a skeletonized dial that showcases the pure mechanical movement. The pattern on the dial is achieved using vintage German machinery, and it includes individually applied Roman numerals and shark's teeth indices. The Chamberlain comes equipped with an crocodile embossed genuine leather strap. "Hi is this a manual wind watch"